As I’m sure you can see, avoiding all of these mistakes can be a very difficult task, which is why designing a sequel or expansion can be so challenging. However, it is certainly not impossible. Lets take a closer look at these different mistakes, and see how they can be avoided. When designing a sequel or expansion to a popular game, it is very important to keep in mind what players actually liked about the original. No game is perfect, and it is completely natural to want to explore and try new things with the material, but if a player is buying an expansion to a game they are going to have certain expectations. It is okay (and even necessary) to not meet all of these expectations, but some things have to remain (the “Bearing Walls” that I mentioned in my previous article). Because it was The Legend of Zelda that made me want to write about this topic, I will use a Zelda game as an example. When the original Legend of Zelda was released in 1986, it was arguably the very first “open-world” game ever released. It placed the player in the middle of an empty screen with no explanation at all. That game was a smash hit, selling over 6.5 million copies, so of course expectations were very high for the sequel, Adventure of Link. When Zelda II was finally released, it was very different from the original. 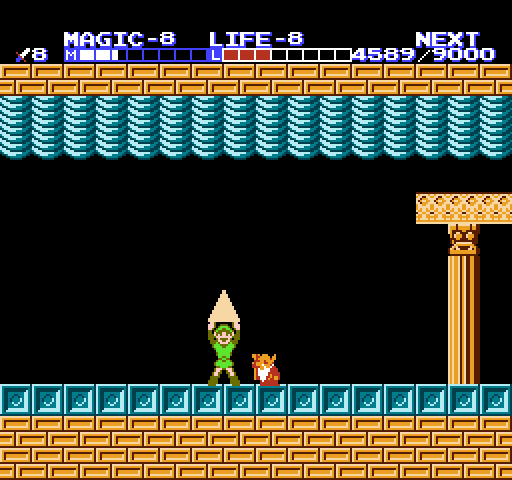 It focused on a side-scrolling perspective, added RPG elements such as experience and levels, had limited lives, and many other unique additions. And it was a hit! Zelda II sold over 4 million copies, and was one of the best selling games on the NES. Although it changed a lot, and is widely considered the black sheep of the series, it stayed true to the core of what made the original Legend of Zelda successful. It still focused on the open world exploration, dungeon exploring, puzzle solving aspects that players loved. Other examples include Pokemon Go, a huge phenomenon from last summer. Few games in history had as much hype as Pokemon Go, which promised to bring the Pokemon experience to the real world. However, although it launched with huge numbers, according to this article from bgr has lost nearly 80% of it’s daily active users since it’s peak last july. Now, I could write an entire article about the issues with Pokemon GO (and I probably will), but one of their major mistakes was trying too hard to make it a mobile game, and ignoring many of the things that make Pokemon the series that people know and love. While it is important not to get rid of everything players love about your game, it is equally important with your sequel to make sure that you are trying new things and taking risks. My example for this point comes from Magic: The Gathering – a set called Homelands. Homeland is widely considered to be one of, if not THE worst Magic: The Gathering set of all time. Why is this? Well, it did have a lot of weak cards, but that isn’t all. When Homelands was released, Magic was still very young, and there were lots of different areas for design to explore. Limited Edition introduced, well, everything, Arabian Nights added utility lands and was a top down set, Antiquities was the first set to have a strong mechanical theme, Legends introduced legendary and multicolor, etc. Even when these things were bad – Legends for example has some TERRIBLE legendary creatures – they at least tried something new. Homelands biggest mistake is that it didn’t do anything different. Players can see past weak cards if there is something new or original worth adding to their collection, but Homelands didn’t have that. It was worse than bad – it was forgettable. Even it’s world (which is one of the more popular things about the set) is based around cards and flavor text from previous sets. How bad do you want those Serrated Arrows? Just because the original game was popular enough to warrant a sequel doesn’t mean that it was perfect. Even huge hits will have some kinds of flaws, but often the players learn to ignore them because everything else is so good. However, there is a limit to how much players will put up with the same flaws over and over again. For my Zelda example, I’m going to go back to Wind Waker. As I’m sure you can tell, I was not a huge fan of the sailing aspect of that game. While I enjoy exploration, it is not as fun if well over 90% of the map is just empty water with very little to explore. Because of this, when Nintendo made their direct sequel to Wind Waker, Legend of Zelda Phantom Hourglass, they implemented an autopilot function where you could simply plan out the path for your boat ahead of time, and then it would automatically travel to that location. 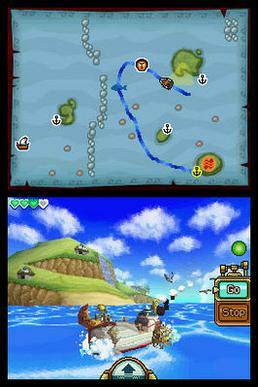 This freed the players attention so that they could focus on things like sea battles instead of just sailing. By recognizing what players did and didn’t enjoy about their previous title, Nintendo was able to make changes that improved gameplay, instead of just repeating the same mistakes. Now we just need to get rid of Temple of the Ocean King! When the first game ended, Sora had just sealed the door to Kingdom Hearts closed, and vowed to find Mickey and Riku once again. However, at the beginning of Kingdom Hearts II we do not catch up with Sora where we left off, but instead we meet a new protagonist – Roxas. We then quickly find out that the first hour or so of the game actually takes place in a virtual reality, Sora has been trapped in suspended animation, Roxas is Sora’s nobody, etc. And I am completely lost. I then realize that, although it was titled Kingdom Hearts II, and was only the second console release, there had been two games in between whose lores were absolutely necessary to understand what was going on. Even worse, much of the integral backstory is told through hidden sheets of cryptic, out of order notes that have to be assembled. Now, I am extremely excited for Kingdom Hearts III to be released , but I feel like I have so much homework to do before that if I want any chance of even knowing what is going on. Add to this the constant stream of remakes, the strange naming system (what the heck is HD 2.8 Final Chapter Prologue supposed to mean? ), and the fact that to REALLY get it you need to be able to understand the references not only from previous Kingdom Hearts games, but also Disney classics and the Final Fantasy series, and you have a series that, while successful, has ended up getting way to wrapped in it’s own lore and has become almost incomprehensible to newcomers. While it is important not to alienate newcomers, it is equally important to make sure that your sequel or expansion has something for more established players as well. This is especially important when managing a single long-running game, such as an MMO, Trading card game, or MOBA. In these types of game systems, where the majority of the content comes from interactions between players it is very important to keep your ear to the ground and pay attention to what the players are saying about your game. These games have what is known as a Metagame, which is a constantly shifting environment of strategies that players develop over time, and as the prevailing strategies shift players come up with new solutions to counter them. In a healthy Metagame, there are many different possible strategies, none of which is clearly dominant over the others and all of which have at least some viability. Of course, making all possible strategies perfectly equal is an impossible task, but it is up to those managing the game to make sure that the Metagame does not become “solved”, where one dominant strategy completely overtakes all others, to the point where it essentially becomes the only way of winning. While ideally this situation would never occur, these types of games are extremely complicated and it can be impossible to completely predict how the Metagame will evolve and these situations do happen. The game manager however, has many possible responses. They can modify the game slightly to try to even things out, they can add potential counters to the prevailing strategy, or they can ban it outright. The correct solution depends on the situations, but one thing the game managers cannot do is nothing. If they do not take action and listen to the players, the Metagame will become stale, and players will lose interest. That’s all for this week! I know this article was quite a bit longer than what I have posted so far, and I look forward to seeing what you think about it in the comments below! Next week I will finally get around to talking about the game that started this series in the first place, Legend of Zelda: Breath of the Wild, and look at how that game tackles the challenges of being a sequel in one of the most popular game series of all time. See you next week! Thank you! I am still trying new things and figuring it out, so I’m glad you like it!